Most organizations today have 3-4 business intelligence tools at their disposal, yet most business users still opt for Excel for their BI and analytic reporting. But according to multiple studies, close to 80-90% of spreadsheets contain errors – from hidden cells and cut-and-paste errors to bad formulas - and it is costing businesses millions of dollars every year. Join Alteryx, a leader in self-service data analytics, to hear practical steps for moving your Excel users to self-service tools that provide the ease-of-use that business users require while balancing the control and governance IT needs. We will provide real-world use cases and examples of global organizations who have weaned their analysts off of Excel for data preparation, blending and analysis work and over to a governed and secure solution. Josh Howard is a recognized leader in both product marketing and data management technologies. 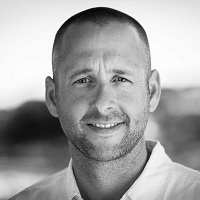 With more than 15 years of experience in product marketing and product management across big data, analytics and business intelligence technologies, Josh brings a unique industry perspective and frequently writes and speaks on these topics. Currently, Josh is the product marketing lead for Alteryx's enterprise go-to-market strategy and based out of Broomfield, CO. Prior to joining Alteryx, Josh led product marketing for Dell Software's database tools business for five years and has also held senior level marketing and product roles at Acxiom, Embarcadero Technologies, and Quest Software. You can follow Josh on Twitter at @Joshoward.